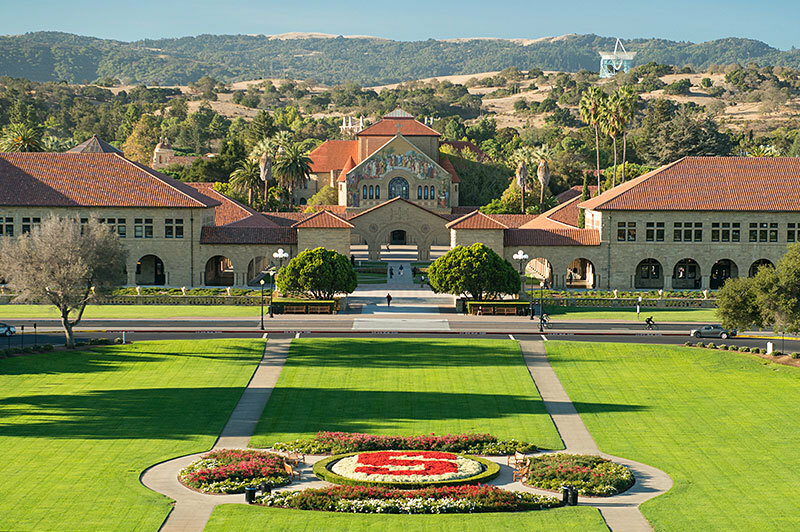 Stanford University is a Private (not-for-profit) (4 Years or High) college located in Stanford, California. It has a total enrollment of 17,184 including undergraduate and graduate students and student to faculty ratio is 10:1. It is a Degree-granting, primarily baccalaureate or above school by Carnegie Classification and its highest degree is Doctor's degree. The acceptance ratio for undergraduate school is 4.81% last year. The acceptance ratio is 4.81% last year at Stanford University where total 43,997 students applied and 2,118 were accepted. The tuition & fees at Stanford University, for academic year 2017-2018 is $49,617. The living cost including room, board, and other expenses is $18,037 when living on campus. Stanford University provides various learning opportunities and services for their students. It includes NCAA Member, ROTC Program, Campus Housing, Online Learning, Study Abroad, Career Counseling, Employment Service and more. Explore campus life and get your opportunities at Stanford University. From the Stanford University Founding Grant, November 11, 1885:...the Nature, Object, and Purposes of the Institution Hereby Founded, to Be:Its nature, that of a university with such seminaries of learning as shall make it of the highest grade, including mechanical institutes, museums, galleries of art, laboratories, and conservatories, together with all things necessary for the study of agriculture in all its branches, and for mechanical training, and the studies and exercises directed to the cultivation and enlargement of the mind:Its object, to qualify its students for personal success, and direct usefulness in life;And its purposes, to promote the public welfare by exercising an influence in behalf of humanity and civilization, teaching the blessings of liberty regulated by law, and inculcating love and reverence for the great principles of government as derived from the inalienable rights of man to life, liberty, and the pursuit of happiness. Stanford University is accredited by Western Association of Schools and Colleges, Senior College and University Commission (02/28/1949 - Current).